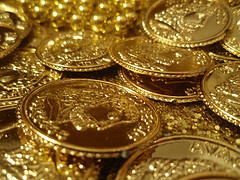 Gold is a well known commodity that has generated a tremendous emotional attachment for many people and investors. Phrases such as ‘gold plan’ and ‘gold standard’ have become commonplace in the contemporary vernacular. One of the most significant population migrations in the United States, known as the “Gold Rush,” occurred when a large population of people left the east coast to California in search of this well known ore.
As an investment, gold is commonly known as a counter-cyclical instrument. This characteristic occurs because times of economic uncertainty frequently prompt investors to exit the financial markets for the perceived safety of hard commodities like gold. 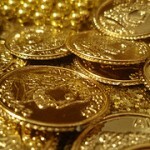 There are two implicit problems with investing in gold. The first is that gold is a one-dimensional asset, and the second is that gold is subject to manipulation or outright seizure. By describing gold as a one-dimensional asset, I am referring to the fact that gold only derives its value from the appreciation or the willingness of other people to buy it at a future date. Gold has a history of significant price volatility, produces no cash flow, has no tax advantages, and cannot be purchased with leverage. Fortunately, income-producing real estate investments posses all of these characteristics and also guard against inflation caused by government irresponsibility. The second implicit danger was set on April 5th, 1933, when President Franklin Delano Roosevelt issued Executive Order #6102 and confiscated all of the privately held gold in the United States because the government was unable to honor its commitment to a ‘gold standard’ currency. The precedent has been firmly set for a power-hungry administration to use an economic calamity as a vehicle to seize power. Unfortunately, gold is frequently the currency by which politicians overthrow freedom and liberty to create a legalized imperial monarchy.